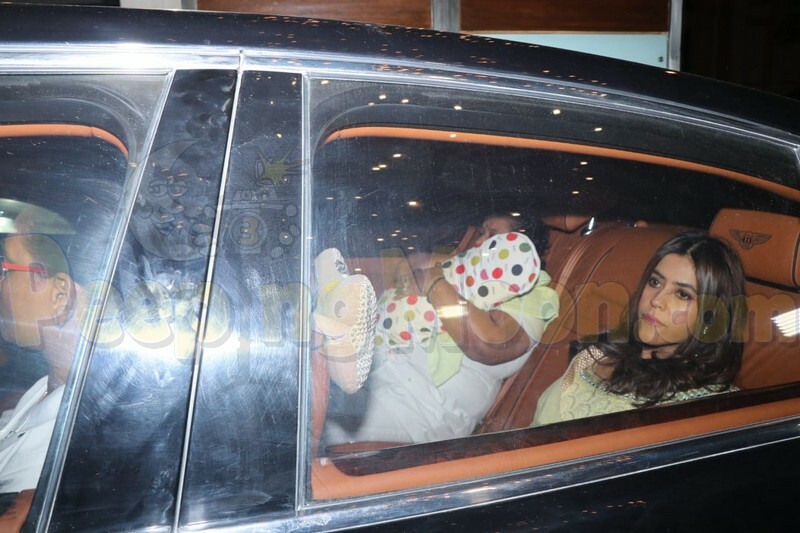 TV czarina Ekta Kapoor hosted her son Ravie Kapoor's naming ceremony at her Mumbai residence on Monday and the who's who of the television as well as the film industry were in attendance. Our shutterbugs present at the bash first got a glimpse of Ekta as she arrived with her baby boy Rvaie. The actress was all smiles at the ceremony and happily posed for the cameras.